Where once women’s bikes were simply smaller, “prettier” (whatever that means) and, sadly, more poorly spec’d than men’s models, thankfully those troglodyte days are behind us. Aside from aesthetic nuances, quality women’s bikes today offer the same performance and components as comparable men’s models. The big difference between women’s and men’s bikes is the fit: Bike makers have a lot of fit data that goes into frame geometry. 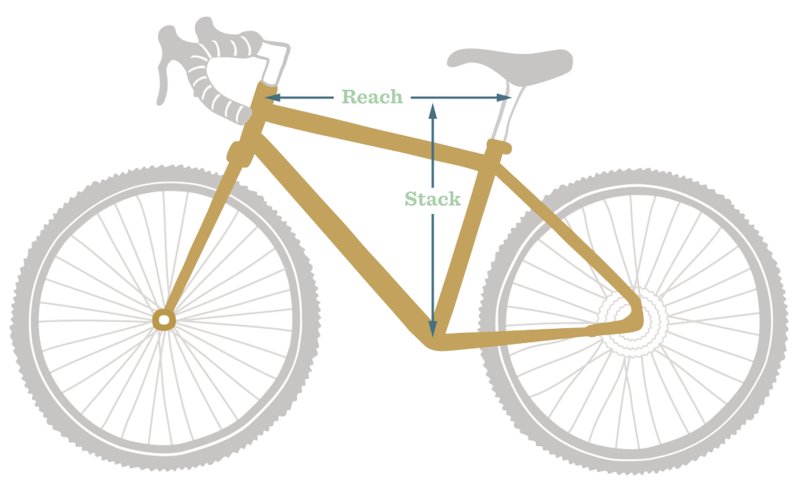 Women, on average, are shorter than men, so women’s bike models generally have shorter stack heights. On average, women also have shorter torso lengths, so women’s bike models tend to have shorter reach lengths. That said, another way to view a “woman’s bike” is that it’s any bike that fits her: That’s why plenty of women can often get a better ride on a man’s bike (aka unisex bike). A good bike shop will ignore marketing and concentrate on bikes that fit your body proportions. And the final word on fit isn’t what happens when you roll out of the store. It takes a few weeks of riding to assess things. After that, you should return to the bike shop to discuss what is and is not working. They can make adjustments, swap out components or, if need be, put you on a different-size model. To learn some fundamentals about fit, read Bike Fitting Basics. What about step-through frames? The classic woman’s bike featured a downward-sloping top tube, a design that dates back to days when women riders wore long skirts. You still see casual women’s bikes with that look, but it’s for aesthetics, not performance. Bike designers today are experimenting with curved elements on many pieces, not just the top tube. Other components also affect bike fit: The size or adjustments on key bike components also help it synch better with rider physiology: The stem, seat, handlebar, suspension and brake levers can all affect a bike’s overall fit and comfort. Stem: This is the component most likely to get swapped out before you leave the store. A shorter or longer stem offers a simple way to fine-tune a bike frame’s reach for you. A different stem style might also put the handlebar at a higher position that’s more comfortable for riding. Handlebar geometry also comes into play, so bike shops will consider both stem and handlebar choice together during a fit assessment. Seat: Generally, women’s saddles are shorter and wider. Women performance riders, though, often prefer narrow saddles that free up their pedaling motion. In addition, bike makers know that the saddle is one of the first components riders will change to match their preferences, so don’t get too hung up on the saddle if you like everything else about a bike. Handlebar: On average, women have narrower shoulders than men, so having a narrower bar might suit you. Sore shoulders are one tipoff. If that’s happening after you get home, tell your bike shop when you go back in. For a detailed discussion about handlebar width assessment on mountain bikes, read Are Your Handlebars Too Wide? Suspension: Lighter riders need suspension that’s tuned to their lower weight. You can have this done at the shop or do it yourself at home. Brake levers: Shorter riders often have smaller hands, making it hard to comfortably reach and operate brake levers. Some levers have adjustment screws that let you reduce lever reach; short-reach levers are another option. For an overview on seat, handlebar and suspension adjustments for women, read 3 Ways to Adjust Your Mountain Bike, for Women, by Women. Truly unisex bikes might be the future: Interestingly, our evolving understanding about genders is mirrored by evolving fit data for riders. Some bike brands will transition to gender-neutral bikes (bikes for all). Instead of having, for example, four “men’s” sizes and four “women’s” sizes in a model, a bike model can come in five sizes. That offers a greater fit range for all riders, and smaller incremental changes between sizes provides a more precise fit for any single rider.